The International Nanny Association (INA), a nonprofit organization, serves as the umbrella organization for the in-home child care industry. INA members include nannies, nanny employers, nanny agencies, educators and industry service providers. Since 1985, INA has worked to professionalize the industry by setting high standards for industry professionals and nanny agencies. INA leverages the expertise of industry professionals from around the globe to help increase awareness about the industry, to develop the professional skills of nannies, and to educate parents about the benefits of hiring a qualified nanny to care for their children. STS is an official American Heart Association Training Center and our license number is CA-20784. The childcare training courses are provided by EMSA and our EMSA License is 0204-DC. Mommy Nearest was founded in New York City by a group of people who believed that finding family-friendly places shouldn’t be difficult. Whether you want to discover where other local parents are taking their children or you’re traveling to a new city and need inspiration on what to do, the Mommy Nearest app and mommynearest.com is with you every step of the way. Read articles and reviews from local parents and take the guesswork out of parenting. Tutoring: "Playdates with a Purpose"
feeds, changes water daily, cleans litter boxes, plays, brushes, offers individual on leash, small [up to 40 lbs] dog walking & gives a lot of love and attention to your pets while you are away on vacation, have illness or busy lives. While caring for your pets, we'll retrieve your mail/newspapers, rotate lights, draw curtains, take garbage/recycle bins to and from the curb. 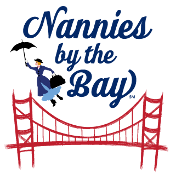 Copyright © 2016 Nannies by the Bay. All Rights Reserved.